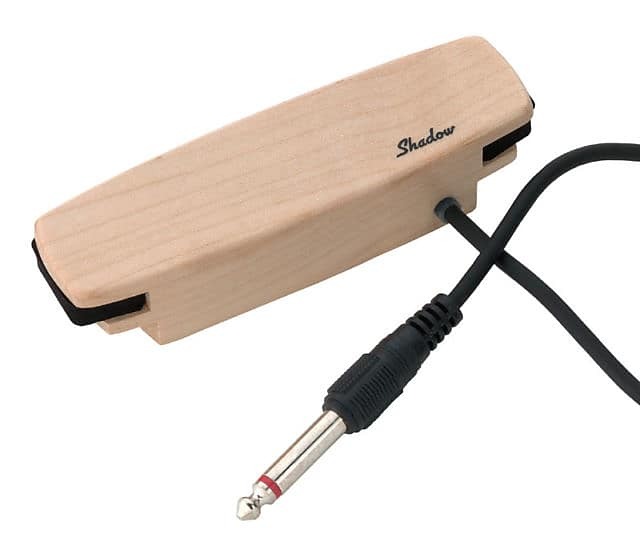 The Shadow SH 330 Soundhole Guitar Pickup is a well shielded single coil pickup in a beautiful maple wood case with natural finish It's vacuum waxed, sealed in epoxy and fixed with a 12' (4m) noiseless cable. It installs very easily and can be detached at any time. The pickup can be rotated in the sound hole to allow fine tunings of harmonic response. We ship within Canada via UPS or Canada post. Items over $350.00 ship to standard addresses at no charge. This seller has not set a shipping cost for Continental U.S.. Please contact them to ask about shipping or change your shipping region.